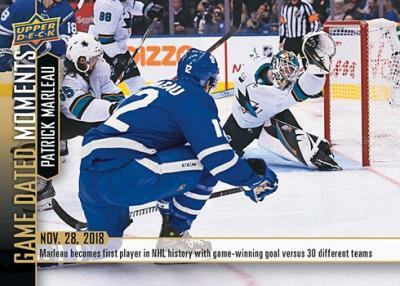 [Upper Deck] 2018-19 Game Dated Moments Week 9 Cards are Now Available on Upper Deck e-Pack™! Thread: 2018-19 Game Dated Moments Week 9 Cards are Now Available on Upper Deck e-Pack™! 2018-19 Game Dated Moments Week 9 Cards are Now Available on Upper Deck e-Pack™!